Text Reads "First Aid Station" Sign. "SAFETY" signs indicate the location of emergency relate.. 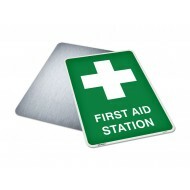 Premium First Aid Kit - Comes with Durable Metal Case! 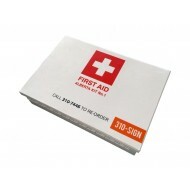 Alberta #1 First Aid Kit Includes:..
Volume Discounts by Quantity Size/Material: 3" (w) x 3" (h) 3M Premium Vinyl with Hi-L..
Health and Safety with Pictogram sign. "SAFETY FIRST" indicates proper safety procedures whic..
Fire, Exit & Emergency Pictogram sign. "FIRE" pictograms & color coding enhance visual compre..
INCLUDES 50 PER PACKAGE (Volume Discounts by Quantity) Hard Hat Safety Sticker Purpose:..
What is a Construction Ahead Sign? Posted by 310-SIGN.ca on Feb 27, 2015. The "construction ahead sign" is probably the most recognized and most frequently used traffic si.. more..
Two New Traffic Signs in Canada, Now Available at 310-SIGN Posted by 310-SIGN.ca on Feb 03, 2015. The Transporation Association of Canada (TAC) recently approved the addition of two new traffic s.. more..
310-SIGN Partners with Radarsign Posted by 310-SIGN.ca on Dec 01, 2014. Alberta-Based 310-SIGN Now Distributing Radarsign’s Armored Driver Feedback Signs in Canada .. more..
Fleet Safety Decals, Commercial Vehicles Posted by 310-SIGN.ca on Jul 25, 2014. Top 10 Most Common Commercial Vehicle Safety Labels and Fleet Decals 1) Fire Extinguisher Ins.. more..